Clients frequently tell me that after having a mastectomy that they feel lost and without direction even though they may have had what is called a “successful surgery.” They say that no one ever tells them about what comes next – the swelling, the scarring, the tugging, the tightness that form across their chests and often limit the mobility of their arms. No one tells them that a task as simple as brushing one’s hair might be next to impossible – and that with the right help, it can be prevented. It is sad that women are not told how to deal with the inevitable scarring that will result as a normal part of the healing process. During the first weeks following the procedure so much can be done to help the body lay down scars that are less restrictive and less noticeable. The work that can be done to help heal the body following a mastectomy begins with the lymphatic system. Using either Manual Lymphatic Drainage (MLD) or Electro-Lymphatic Therapy, a Certified Lymphedema Therapist can move swelling out of the surgical area. 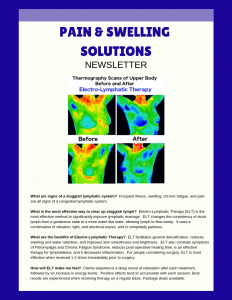 This not only improves the pain associated with swelling, but it also carries away toxins from damaged tissues and facilitates nutrient delivery to the healing tissues. 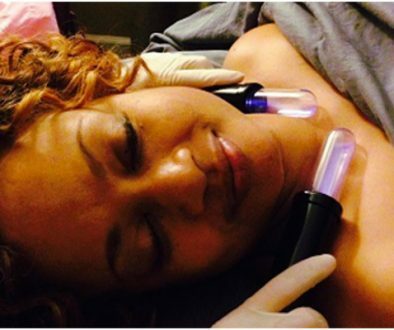 Lymphatic Drainage, when done by someone who is a Certified Lymphedema Therapist (this is different than “lymphatic massage”) can drastically speed healing times and produce a far better appearance post-operatively. Lymphatic Drainage can begin within a few days following surgery. You will need to get clearance from your surgeon for this. Advise him or her that you will be seeing a Certified Lymphedema Therapist (CLT) for post-op lymphatic drainage (not “lymphatic massage” at a chain massage business where lymphatic “training” may consist of anywhere from a paragraph in a book to a single day of class). Certified Lymphedema Therapists complete a minimum of 135 hours of rigorous training in lymphatic drainage and associated medical conditions. Although it sounds a bit crazy, scars are a good thing. When the body experiences an injury like a surgical cut it begins to lay down fibers of collagen in a web-like pattern in order to hold the cut together – no matter which way the skin is tugged. It’s quite magical, actually. The problem lies in the fact that the body’s only concern is to patch as quickly as possible, not as efficiently as possible. So, at a certain point, these collagen fibers going in all directions exceed their basic task of keeping things in place. When they go overboard (which they usually do) they cause constriction, lumpiness, puckering, and pulling. You see, the body is really good at acting quickly (within a second) after an injury to heal itself, but it is not so great at knowing when to stop. In addition to the superficial scars that are visible, deep scars called adhesions can tack down tissue to organs and to bone. In the case of mastectomy scars, a special form of adhesion called “webbing” or “axillary cording” can form in the armpit. This is what can limit your arm’s range of motion following a mastectomy. This is where Myofascial Scar Remodeling can help. As the body is putting down scar tissue, myofascial work can help organize it keeping tissues pliable and soft. It also helps to keep the scars from pulling on the incision site. 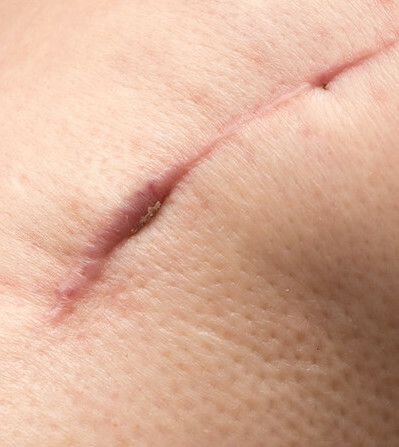 Scar work is gentle and can begin as soon as 2-3 weeks post-operatively with physician consent. The earlier you begin, the better. The longer scar tissue is allowed to form, the harder it will be to get it loose and pliable. 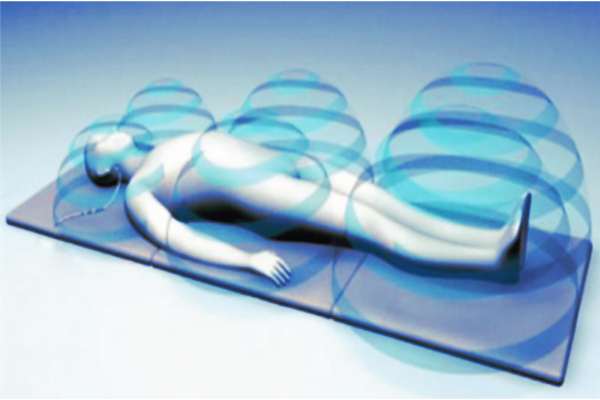 Pulsed ElectroMagnetic Field Therapy, called PEMF for short, is great for speeding post-operative healing. PEMFs work by sending out highly specialized electro-magnetic waves to the tissues that stimulate the natural electrical and chemical processes at the cellular level. They are able to pass easily through every tissue in the body (skin, muscle, tendons, ligaments, cartilage, and bone) where they act to correct chemical impairments and improve the functions and health of the cells. In short, PEMF Therapy can help to reduce swelling and speed up the healing process following a mastectomy. It can be used immediately following surgery and throughout the healing process. 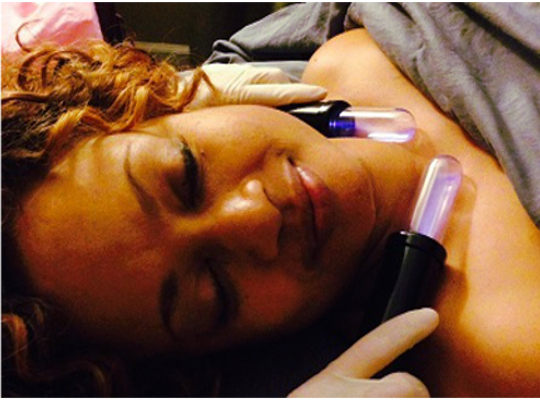 It is a great 15-30 minute add-on to a lymphatic or myofascial scar remodeling session. If you’ve had a mastectomy recently or in the past, set up a session or call 505-554-5185 for a free consult to find out how lymphatic drainage, myofascial scar remodeling, and PEMF therapy can help you to feel less lost and regain control of your body.